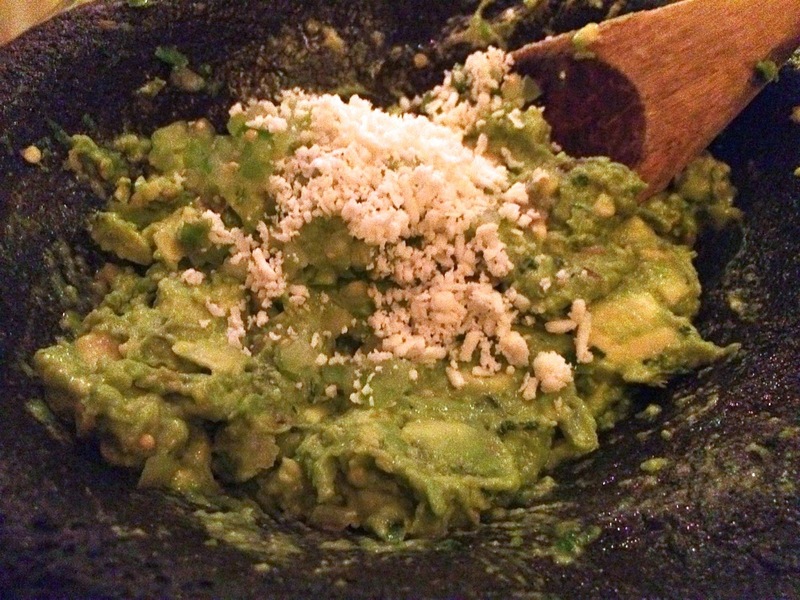 Oyamel makes my favorite guacamole in D.C. Check out Brightest Young Thing's guide to D.C. guacamole to see if you agree. Washington Post: “Mother’s Day Memories: Every Year, These Daughters Cooked. Until They Didn’t,” by Kathy Gunst. It’s Mother’s Day this Sunday. Will you prepare breakfast in bed for your mother? Gunst recounts how her daughters did that from the time they were little until they were teens, at which point they lost interest in the tradition and, Gunst feared, cooking in general. Read the story to find out whether they came back around. Washington Post: “Dinner in Minutes: Vietnamese Rice Noodle Salad,” by Bonnie S. Benwick. This simple rice noodle salad would make a great dinner, but I love that it has a backstory. It’s inspired by the takeout that Molly Wizenberg and her husband Brandon Pettit ate as they started their Seattle pizza restaurant Delancey as chronicled in Wizenberg’s new memoir. New York Times: “A Good Appetite: Two Frostings Are Better Than One,” by Melissa Clark. Clark’s Devil’s Food Cake sounds truly devilish. She splits the cake layers to make a six-layer cake and uses two frostings: a whipped fudge frosting and a vanilla and black pepper buttercream. Her use of pepper reminds me of the Strawberry Shortcake I made last year from one of her recipes that also used black pepper. The Awl: “The Twilight Of The Tortilla: What People Really Order At Chipotle,” by Bobby Finger. Confession: Chipotle is the restaurant Chris and I frequent with the most regularity. We can be found there on any given Saturday; it’s our pre-grocery-shopping ritual. So it was interesting to read Finger’s analysis of what people order from our favorite fast-casual chain. Apparently I’m in the minority in liking the tacos (the burrito is usually too much food for me), although I was surprised to find that the bowl, not the burrito, is by far the most popular order. When we go to Mexican restaurants (which is often, we love them), we almost always get guacamole. Although I can do without the tableside theatrics, I do like it freshly mixed. BYT’s guide to D.C.’s best upscale guacamole highlights some really great versions. My favorite is Oyamel’s, but Rosa Mexicano’s is pretty darn good too. Priceonomics: “The Invention of the Chilean Sea Bass,” by Alex Mayyasi. I’d heard that Chilean Sea Bass wasn’t really what it purported to be, but reading Mayyasi’s article on the non-Chilean (it’s Arctic) non-Bass (it’s Cod) fish made me realize the extent to which it’s a marketing creation, as well as how much marketing pushes us to eat certain fishes…and perhaps too much so, given the state of overfishing. The New Yorker: “The Trend Is Toast,” by Hannah Goldfield. A couple weeks ago my friend Erin told me that the hottest food trend in San Francisco right now is toast. Sure enough, Goldfield’s article for The New Yorker chronicles the rise of “artisanal toast,” a trend some love and others loathe as a sign of excessive food obsession. Feed Your Soul 2: “Romesco Sauce,” by Peter Block. Block’s Passover friendly version of Romesco (he uses Matzah instead of leavened bread) reminded me that I really need to learn to make this classic Italian sauce of roasted peppers. Really love his photos with this: the light blue rim of the bowl with the red sauce and little yellow pepper is such a nice color combination. See all of this year’s delicious, talented winners. Congratulations to them. The term “artisanal toast” is enough to make me never want to eat toast again. Also: I guess you're right that Chipotle is the restaurant we frequent most frequently. Who knew?